In its 25-year history RTI had only known one chief executive officer, until appointing W. Edward (Ed) McConaghay to the role earlier this month. McConaghay fills the vacancy left after the sudden passing of RTI founder John Demskie, who died at the age of 48 last fall. It’s a role that he said he’s prepared to handle. 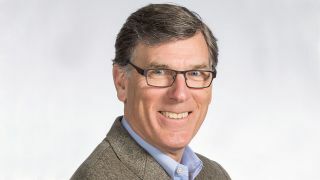 McConaghay has been an interim CEO and strategic advisor for technology companies through his consulting practice Key Indicators Inc. for more than 22 years. In that role, he supported businesses ranging from startups to middle-market companies, providing leadership and direction for business transitions, planning and implementing growth strategies, and developing technology products. Among his executive leadership positions, he was the interim CEO for WELLBEATS; co-founder of PhotoBook Press; CEO and director of XL Technology Systems; CEO and director of ViA; CEO and director of Telident; CEO and director of Digital Technics; and senior VP of sales and marketing of Deluxe Corp. He also served as senior executive at Nortel for 10 years, most recently as vice president of marketing for the Asia Pacific region. McConaghay is a U.S. Military Academy graduate and served as a communications officer in the U.S. Army. He holds a Bachelor of Science in engineering from West Point and a Master of Business Administration from Harvard Business School. Commenting on replacing the only CEO in company history, McConaghay said that the loss of the founder of the company, “from a personal point of view is clearly non-trivial, but also from an organizational point of view, it’s a meaningful disruption” to the company.